The artwork of British artist Jo Hummel feels like a breath of fresh air. Trained at the Royal College of Art London, Jo and was hailed as ‘the next generation to turn its back on Emin and Hirst’s conceptual works’ by the Observer newspaper. There is a natural and systematic ease to her work which allows each piece to feel dynamic yet at ease within itself. There is balance and unrest, opposition and harmony as Jo describes, “the flipping of forms to reveal alternatives.” The pastel, plastic colours and occasional monochrome elements used in her work create a satisfying sense of sugarcoated power, robust and structured yet feminine and undulating. 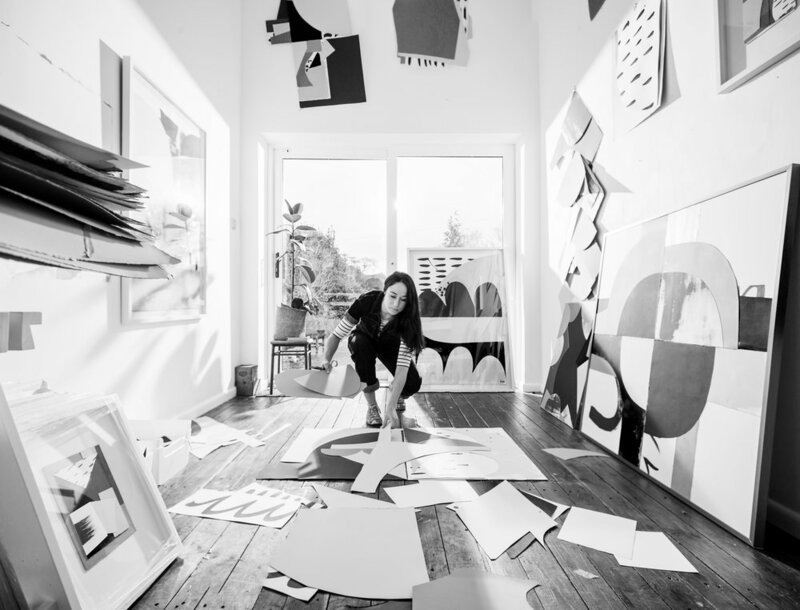 Jo has exhibited internationally including 53rd Venice Biennale, Royal Academy Summer Exhibition and Jerwood Drawing Prize. Commendations include Head of collections at Soho House, Kate Bryan, as one of the ‘Must see artists at the Other Art Fair’ and the Times Newspaper ‘Picking up a Picasso is one click away'. Joanne is also the recipient of a number of Arts Council England award grants and has a growing international collector base. We are proud to represent Jo’s work exclusively in the Nordics and you can book a private view of her work at our Malmö gallery.